If you look up the word vignette in the dictionary you will find many definitions; but none define what it means in the world of interior design. 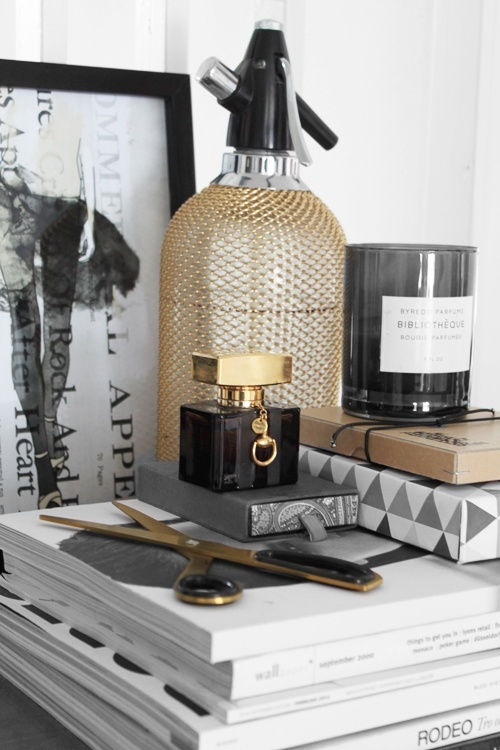 In interior design, a vignette can be described as a decorative scene, created to display a collection of objects that are evocative of your personality and/or design sense. Choose a Theme: It could be books, magazines, accessories, colors or items from an era you admire. The point of a vignette is to display what you love. Keep it simple; group multiples of at least 3 things that express your theme. 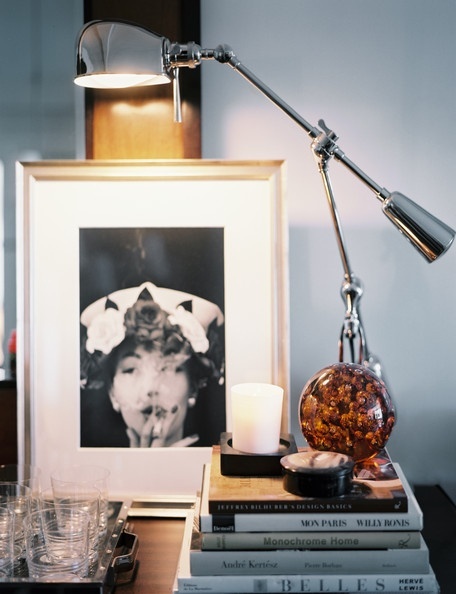 …or on your vanity or night stand to display family photos, jewelry, perfume bottles, your favorite flowers or candles. 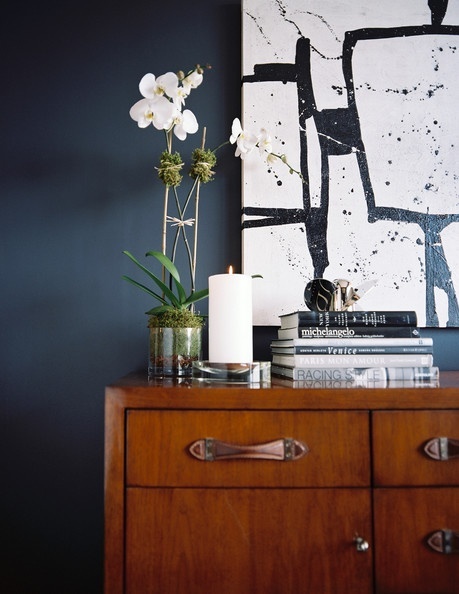 Create Height: Include tall items, like a potted orchid or a vase of tall flowers to make your display dynamic. Stack books for an elevated surface to place small items on. Add a Light Source: Include a lamp. It is a great way to illuminate your vignette, making it a focal point even at night. Create Depth: Place your objects in front of a mirror to add depth and dimension to your display. Add Color: Incorporate bright, bold pops of color to add vitality to your display. Odd Numbers: Group several objects of similar height, size and shape in odd numbers to create visual interest and impact. Include Artwork: If you have artwork, put it up! Great works of art must be displayed. They add dimension, visual interest and character to a space. Tags: collection, color, decorative scene, design sense, display, orchid plant, perfume bottles, stack books, tall flowers, vignette, visual interest. Bookmark the permalink.